At Cuts & Colours hair salons in Coventry, we’re all about the art of looking good and the magic of feeling great, and believe a great haircut can do just that. Our team of expert stylists, will take your hair to places never seen before. Whether you are wanting a little trim, pixie cut, long, short layers, or even a buzz cut our expert team of stylist can deliver the hair style you desire. We are continuously trained by some of the UK's leading hair brands to bring you the latest trends and techniques. Delivering exceptional colouring service that exceeds our clients expectation. Our stylists have no limits to what they can deliver! ​So why not visit us soon and put your trust in our hand-picked team for effortless style, colour that flatters and a truly pampering treat. ​£10 SURCHARGE APPLIES FOR HAIR LENGTH BELOW BRA-LINE OR EXTRA THICK HAIR. INNOLUXE IS THE NEXT EVOLUTIONARY STEP IN HAIR COLOURING & REPAIR. INNOluxe’s new collaborative (and standalone) treatment rebuilds the inner structure of the hair, reinforcing, rebuilding and strengthening the hair inside and out. INNOluxe creates amazing freedom, providing stylists and colourists with an additional creative solution to achieve even more striking results for their client with the reassurance that the hair will be stronger after the process. With the launch of V2, INNOluxe creates a new standard, never been seen before. Following a colour or treatment with INNOluxe V2, hair is left stronger, softer, fuller and with incredible shine. 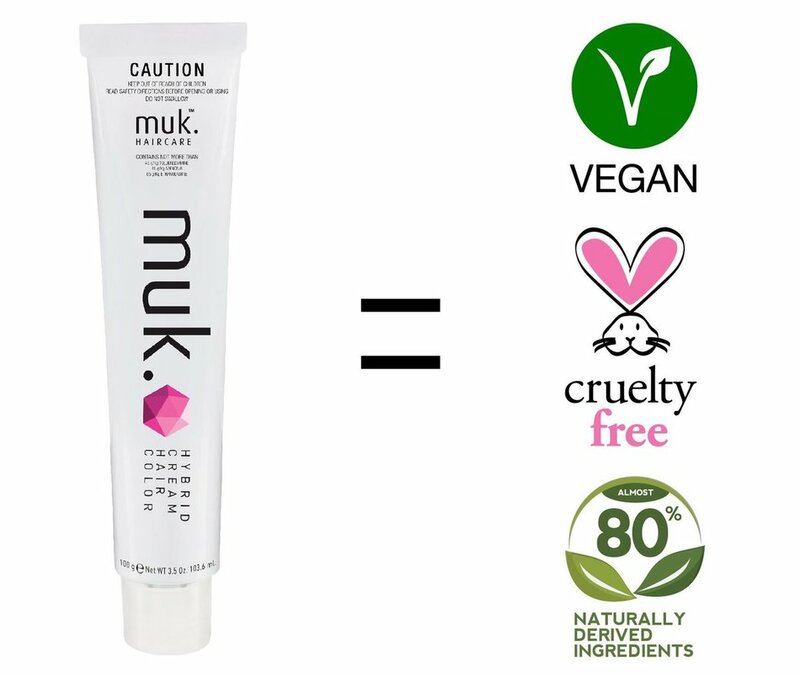 ​Founded in Australia in 2006, Muk embarked on a journey to develop a brand that went against the trend of all other hair care companies. The vision was to create a product range that not only out-performed the market leaders, but grabbed the imagination and attention of a marketplace constantly bombarded with “scientific” jargon and magical claims.